Iridium is a paper abrasive for universal sanding. Built for speed and efficiency, it has a mix of ceramic and aluminium oxide grains on a flexible paper with precision coating that prevents clogging and reduces pilling. It practically repels dust and lifetime is increased as the grains stay sharp for longer. Dust extraction is optimised with multi-hole patterns for discs and strips. 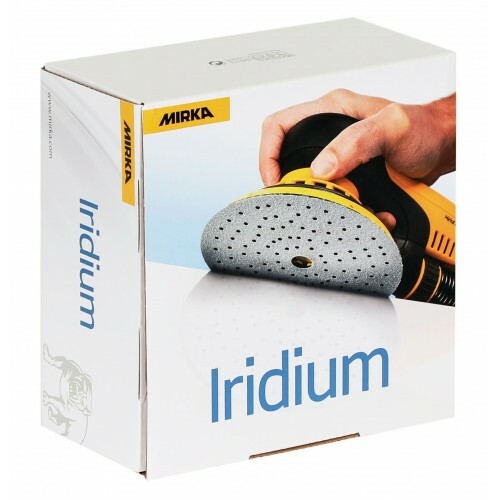 Iridium delivers amazing results on both soft and hard surfaces, making it the ideal paper abrasive choice for professionals in any industry.